Schools can play an important role in reducing the impact of disasters, and students can be very vulnerable to the effects of disasters if they are not prepared with sufficient knowledge. My study therefore focuses on the integration of disaster risk reduction (DRR) concepts into the Secondary High School curriculum in Indonesia. As part of my research, I travelled to Indonesia from March to April this year. 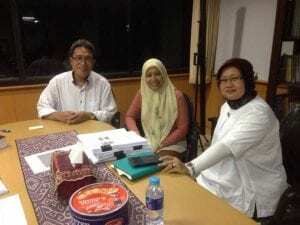 Throughout my work in Indonesia, I was able to meet and interview several DRR education stakeholders, who play an important role in the development of disaster education in the country, including the National Curriculum Centre, the National Disaster Management Agency, the Indonesian Science Institute, and three NGOs: Plan International, Lingkar and Kerlip. I also had the opportunity to discuss with a number of teachers, the integration of DRR concepts in their curricula at the Secondary High School in Banda Aceh. Many agreed that Indonesia is a highly disaster-prone nation and that students need to be adequately prepared. However, they also pointed out that limited knowledge, a lack of materials and insufficient support all hinder the implementation of these DRR processes in schools. The teachers believed that such problems can be minimised with greater support, especially from local government, and stated that if DRR concepts are fully integrated into school curricula, more children will have a better understanding of DRR and will work towards transforming their societies. The study provided critical information and recommendations for governments, both local and central, regarding the importance of disaster education in schools. The insight might help in formulating policies and designing programmes on disaster management. It will benefit education-based stakeholders and strengthen DRR in school curricula through building knowledge of risk, increased skills, and improved awareness. It will also provide solutions from current disaster problems and assist in the prevention of further catastrophes. 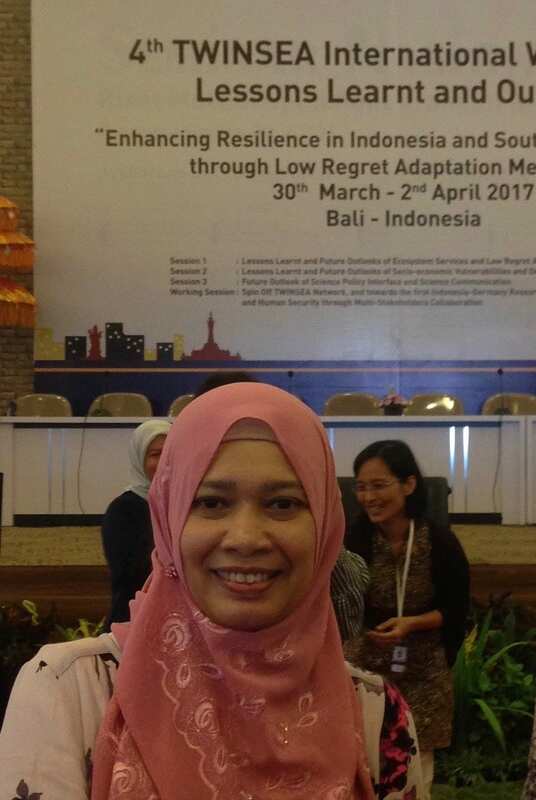 During this trip, I presented my work at the 4th TWINSEA International Workshop on ‘Lessons Learnt and Outlook, Enhancing Resilience in Indonesia and South East Asia Cities through Low Regret Adaptation Measures’. 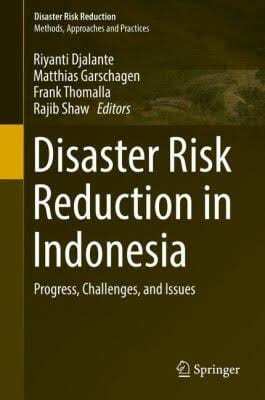 As a part of the workshop, I also attended the book launch of Disaster Risk Reduction in Indonesia to which I contributed, adding my experience to the chapter titled ‘Integrating Disaster Risk Reduction and Climate Change Adaptation into School Curriculum: From National Policy to Local Implementation’ (http://link.springer.com/chapter/10.1007/978-3-319-54466-3_8). 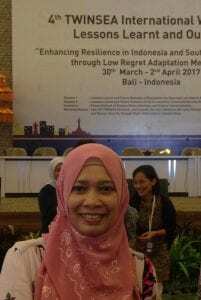 The workshop attracted 140 attendees, including researchers, academics, practitioners, and government delegates from seven countries around the world, who presented on multi-disciplinary aspects of the development of DRR in Indonesia. It was organised by the Indonesian Institute of Science – International Centre for Interdisciplinary and Advanced Research (LIPI-ICIAR), Universitas Pendidikan National (UNDIKNAS), the Franzius Institute for Hydraulic, Waterways and Coastal Engineering at the University of Hannover, and the United Nations University Institute for Environment and Human Security (UNU-EHS).